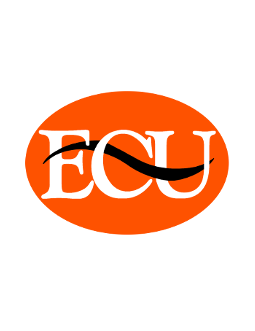 This page will guide you through the Open Educational Resources available to ECU faculty! DOAJ is a "community-curated online directory that indexes and provides access to high quality, open access, peer-reviewed journals" (Opens a new tab). Khan Academy, a nonprofit organization, creates and maintains a collection of instructional videos on a wide range of subject matter. Khan is partnered with NASA, the Museum of Modern Art, the California Academy of Sciences, and MIT (Opens a new tab). Created and maintained by the University of Colorado, PhET is a collection of "free interactive math and science simulations" (Opens a new tab). BioDigital is the "World's First Human Visualization Platform," allowing users to "explore the human body in interactive 3D" (Opens a new tab). A resource, created by OER Commons, which guides educators in creating and publishing resources, lesson plans, and courses (Opens a new tab). Ryerson University Library's tips on publishing in open access journals (Opens a new tab). The United Nations Educational, Scientific and Cultural Organization defines Open Educational Resources (OERs) as "any type of educational materials that are in the public domain or introduced with an open license. The nature of these open materials means that anyone can legally and freely copy, use, adapt and re-share them." The American Institute of Mathematics (AIM) maintains a list of open access textbooks deemed appropriate for use in a traditional course (Opens a new tab). OpenEd is an open access textbook creation project created by the British Columbia's department of advanced education (Opens a new tab). A library of open access textbooks peer-reviewed by the College Open Textbooks Collaborative (Opens a new tab). A non-profit publishing company operated by Allen Downey, a professor of computer science at Olin College, who writes free textbooks related to the computer and data sciences (Opens a new tab). INTECH is a publisher of open access textbooks in the subject matters pertaining to science, technology, and medicine (Opens a new tab). Knowledge Unlatched is an online database of open access scholarly resources, including books and journals (Opens a new tab). OAPEN is a library of open access academic textbooks, particularly focused on the areas of humanities and the social sciences (Opens a new tab). A publishing house, located at Rice University, focused on free academic textbooks (Opens a new tab). Established by State University of New York libraries, Open SUNY Textbooks publishes open access textbooks (Opens a new tab). Supported by the Center for Open Education and the Open Textbook Network, Open Textbook Library is a collection of open access textbooks (Opens a new tab). Orange Grove Texts Plus is an open access textbook initiative of the University of Florida Press and the LibraryPress@UF (Opens a new tab). The American Yawp is a "free and online, collaboratively built, open American history textbook designed for college-level history courses" (Opens a new tab). George Mason University's collection of Open Educational Resources, including course content and textbooks (Opens a new tab). Creative Commons' collection of open educational resources and current projects (Opens a new tab). An open educational resources database curated by MERLOT, a non-profit organization created in a collaboration between 15 higher education institutions or governing bodies, including the Oklahoma State Regents for Higher Education (Opens a new tab). OER Commons is a database of open educational resources, which allows educators to collaborate on curriculum (Opens a new tab). An international organization which collaborates with MERLOT to offer open educational resources to educators worldwide (Opens a new tab). Open Access Directory is a wiki created and maintained by the School of Library and Information Science at Simmons College (Opens a new tab).